Andover occupies a strategic location in central southern England - it is located on the A303 Trunk Road which, together with the M3 to which it is linked, is one of the main routes from London to the West Country. The town is also close to the A34 Trunk Road, which connects the South Coast ports with the Midlands via the M40. The park is already home to a number of major employers including Twinings, Le Creuset, Londis and Petty Wood (Epicure Foods). Defence Logistics Organisation, Stannah Lifts, Office Depot Ltd, Britax, Excelsior, Dreams, Simply Health, SSI Schaefer and Cengage Learning. If you are thinking of expanding or relocating your business, you’ll find yourself in very good company. 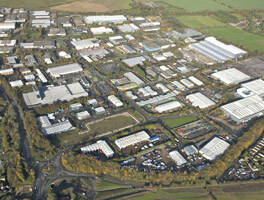 A major regeneration project by Kier for Test Valley Borough Council.